If you take the scenic routes, a short drive north, west, or south of Myrtle Beach, the pines, palms, and oaks alongside the roads begin to hug the shoulders a bit tighter. The sun shines a bit dimmer. Spanish moss grows a bit thicker; the marshes and swamps appear deeper and vaster. So please be wary. Don’t blink, and do listen carefully. 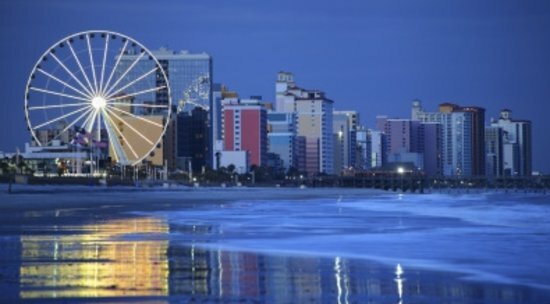 You’re entering the land of legends, ghosts, and pirates in Myrtle Beach. The sleepy town of Little River (the oldest settlement in Horry County) dozes alongside its namesake, the Little River. Though you wouldn’t know it today, this quiet town was once the refuge of pirates seeking safe havens, resting ports, and treasure vaults. It was a favorite of Edward Teach, better known as Blackbeard. Blackbeard was captured and killed in a fierce sea battle with Lt. Robert Maynard. Beheaded, his body was thrown overboard and his head hung from the ship’s tall beam. Legend has it that he swam around the boat six times before sinking into the deep. Many have seen the tall, headless body of Blackbeard roaming the beaches or swimming underwater, sometimes accompanied by an eerie glow. Locals say he wanders in search of his treasure and, of course, his missing head. When you visit Little River, take advantage of chartered fishing trips, La Belle Amie Vineyard for wine tastings and concerts. And don’t forget the two Las Vegas-style casino gambling boats docked in the international waters. 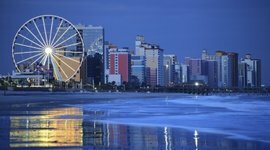 There’s also the Blue Crab Festival in May, a Shrimp and Jazz Festival, and an Oktoberfest to entertain you. 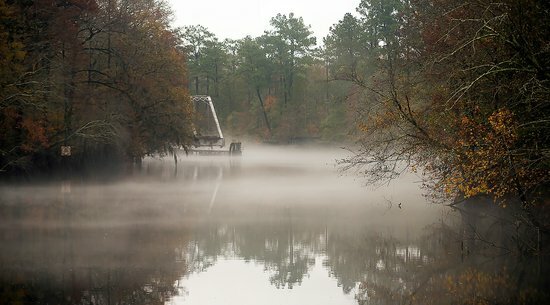 The centuries old southern town that it is, Little River holds other mesmerizing haunts. The Brentwood Restaurant Wine Bistro boasts its own ghosts. When the new owners purchased the property, they rearranged some of the furnishings. But one picture when relocated to a different wall, almost scared them away. When the picture was moved, glasses flew from the shelves, shattering and glittering across the old floors. A dark figure is said to loom on the staircase, and a human face often appears in an old mirror, trapped between this world and the next. 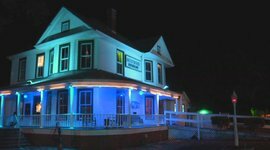 Paranormal investigators, as well as visitors, have tried with no luck to coax the spirit to move on. Oh, they also do some great cooking here too. While you’re there, it’s okay to indulge in some delicious low country French cuisine for brunch, lunch, or dinner. 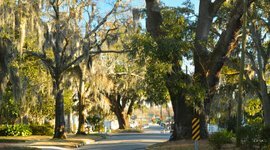 Perched on the waters of the Waccamaw River, Conway is another quaint town, home to one of the scariest haunted excursions that you can take in South Carolina. 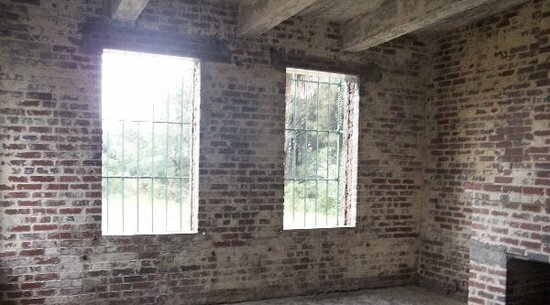 The old warehouse under the Main Street Bridge has been studied by ghost hunters and visitors alike. Professionals insist paranormal activity abounds within the old walls. I’d recommend taking a ghost tour to see for yourself. Tour proceeds benefit Fostering Hope Inc., supporting children in the foster care system in several nearby counties. When in Conway, enjoy the riverfront walk and charming park. Stroll through the beautiful marina and explore the arboretum and history of this quaint town. L.W. Paul Historical Farm offers a trip back in time where you can participate in the daily farm activities of a hundred years ago. A guided river kayak tour provides both fun and education! There are also several fresh fish markets where you can purchase cooked or raw fresh seafood. If you plan on eating lunch or dinner here, I’d recommend K.C.’s Deli and Crafty Rooster (link these). For shopping, check out Bodega (link this) for South Carolina souvenirs, or enjoy a stroll through the fine antique shops (link this), and Farmer’s Market (link this) open every Saturday from May through October. Enter Grimsby & Streaper Import-Export Company, but keep your eyes and ears open. People have been known to disappear. Bumps in the dark and strange noises are just the beginning. It’s fun and just a little bit scary, especially that guy with the chainsaw. Visit the Odditorium where shrunken heads, a spinning vortex tunnel, and vampire killing kits will add to your haunted adventure. Visit the show at Ghosts and Legends Theatre for four mesmerizing re-enactments of some of the area’s more infamous legends. And you can make your reservations for a dusk ghost walk tour. (Read the important tips before you go!) The tour takes you into some of the darkest sites of ancient ghosts. It’s highly likely you’ll see a few ghostly orbs here and there along the way. 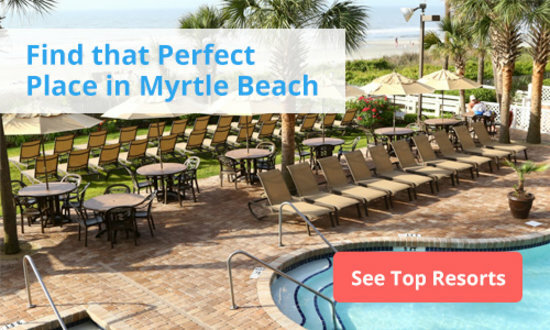 Great chilling fun, but be sure to call for reservations and check times as this Myrtle Beach ghost tour changes from season to season. Board the Sea Gypsy and sail away in search of sunken treasure, but beware that sneaky, lurking Pirate Pete who waits to steal it away from you. Little pirates in Myrtle Beach will receive painted pirate mustaches or an anchor tattoo (just paint, Mom). Read the important info at the web site before arriving, so you’ll know just how to prepare. Lots of fun for everyone. 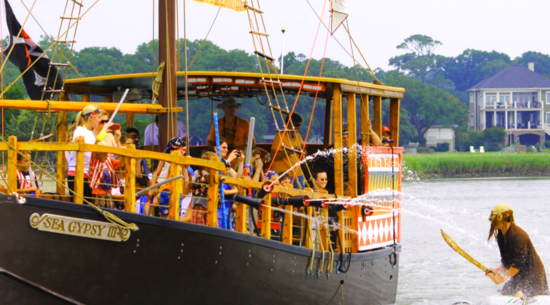 Legend has it that early in the 1600’s, Blackbeard anchored off a small island across from Murrell’s Inlet. There, he and his crewmen unloaded and buried a large quantity of purloined rum. A wild night of dining, drinking, and devilry followed as the men, among them Blackbeard’s crewman, Jack, enjoyed a few of the hijacked kegs. Collapsing in drunken stupors, the pirates snored through the night and rose early to cast away for the Caribbean...All except poor Jack. The rest of the crew came under attack and couldn’t make it back until two years later. When they returned to the island they found 32 empty rum kegs, and among the ruins, lay the bleached brittle bones of old Jack. In memory of their shipmate, the island became known as Drunken Jack’s. Today pirates and their mates dine at the popular Drunken Jack’s Restaurant overlooking the site where the drunken (and presumably happy) pirate lived out his last days. 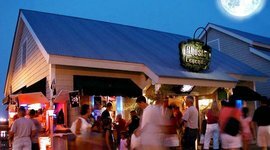 Enjoy the rum and other libations in the lounge, then eat your fill of the delicious hush-puppies dipped in honey butter, the fresh salad bar, the land-lubbers steak or burger, or any of the fine seafood bounty offered, all while enjoying nightly entertainment. Blackbeard would be envious, and you might just decide to stay behind with old Jack’s bones. At the heart of Huntington Beach State Park, sits a grand castle—Atalaya. Built by the wealthy Huntingtons, Atalaya served as the couple’s retreat and at their deaths, was donated to the state of South Carolina. The Huntingtons hired a man called Old Joe to do odd jobs during the construction of Brookgreen Gardens, but Old Joe was a bit hapless. He wrecked his vehicle on his first day of work and feared he would be unemployed again during those desperate years of the Great Depression. But the Huntingtons kept him on, giving him other jobs, more important jobs, over time. One of those jobs was to guard a table of gold for his employer. Mr. Huntington called Old Joe to help him move an old oak table, and there to poor Joe’s astonishment were mounds of gold spilling over the top of the table. Gold coins of every size covered its surface. Mr. Huntington left Old Joe to guard the fortune all night, and so he did. The next day, Joe was excused from his guard, never told where the gold came from or where it went. No sign of the vast treasure was ever seen again. Atalaya offers a spooky ghost tour by flashlight and tales of local folklore to anyone interested in braving the adventure. Call for fees and reservations, please. And just across the highway, stop by Brookgreen Gardens. Behind the beauty of the great sculpture gardens lay many secret tales. 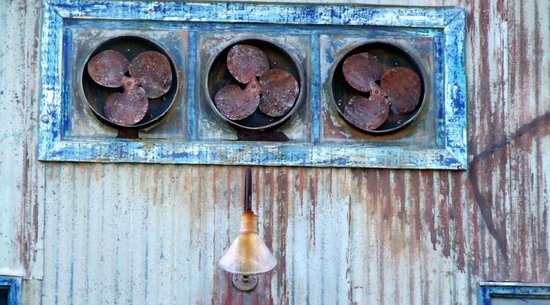 Go explore the art, the plants, and the ghostly tale of blood stains in the old barn. These tours explore the rich history of ghostly activity and hauntings along the stretch of inlet waters. Hear riveting stories of pirates like Stede Bonnet and Blackbeard. 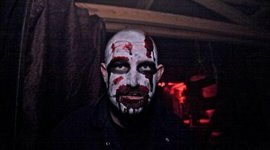 Or wander the dark streets to hear chilling accounts of even scarier tales. Several plantations offer tours of the homes and grounds and recounting of haunting apparitions. Beneath ancient oaks and palmetto trees just off the main highway in Pawley’s, a narrow road leads to All Saint’s Church. The church has graced these hallowed grounds since 1739. A few ghosts walk here as well. Take for instance, the beautiful Alice Flagg. As sister to the wealthy Dr. Allard Flagg, Alice was expected to marry well. But the fates had other plans. Alice fell in love with a lumberman. Of course, Dr. Flagg intended to put an end to this, and he ordered Alice to return the lumberman’s ring and sent her away to boarding school. There, Alice developed malaria and returned home to Pawley’s. When she died, Dr. Flagg discovered the ring still secreted around poor Alice’s neck, and in his grief and anger, he threw the ring into the marsh. 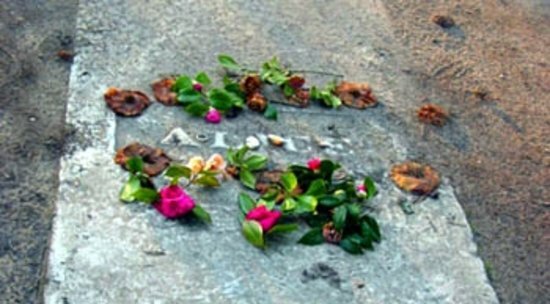 He buried his sister beneath a simple concrete slab in All Saint’s cemetery, inscribed with only her name: Alice. For years, many people have glimpsed the ghost of Alice wandering the cemetery and surrounding marsh looking for her ring. It is said if a person can walk backwards thirteen times around her grave without stumbling, Alice will appear and will find her treasured ring. In the shadowy coolness there, I’ve managed seven laps before tripping over something invisible—a tree root, a tangled ball of Spanish moss, or perhaps Alice herself reached up to catch hold of me. But maybe you’ll have better luck. Ask any local about the story of the Gray Man, and you will get the same answer: “He’s a good ghost.” Legend has it that, after a long absence, a young man eager to see his fiancée took his horse on a shortcut through the marsh between Georgetown and Pawley’s Island. Deep within the tangled roots of palms and oaks, the poor man traveled the unmarked way. His horse quickly fell into quicksand and both the horse and the young suitor were swallowed up. Devastated by his death, the young fiancé walked the beaches, mourning her lover, inconsolable in her grief. One day as she walked, a man dressed in gray appeared some yards away. As she approached, the young lady recognized him as her lost love. He warned her of a coming storm and that she must flee the island at once. But when she reached to embrace him, the apparition disappeared. The young woman, grief-stricken again returned home to tell her parents of the experience, and they, fearing she had lost her mind (or maybe fearing the storm), packed up and left for the mainland immediately. Days later after the storm passed, the young woman’s home was the only one left standing. Since that time, other sightings have occurred. In 1893, as the Sea Islands Hurricane approached, the Gray Man appeared to warn the Lachicotte family. An estimated 1500 people died in the storm, but the Lachicottes, trusting the dark apparition, had fled to safety. October of 1954 found Bill Collins and his new bride enjoying the balmy weather on their honeymoon. But early one morning, a knock on the door roused Bill and a man dressed in wrinkled clothing and with a gray hat shielding his features stood before him. The urgency in the man’s voice convinced Bill to waken his wife and flee the island. The Category 4 storm named Hazel killed 95 people and destroyed 15,000 homes. 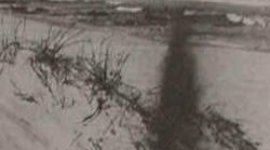 Others have also met this “good ghost.” September 1989 found Clara and Jack Moore walking the beach when a man in gray appeared from behind the dunes. He walked toward them, and simply vanished before their eyes. Clara, knowing of the legend, took it to heart and insisted she and her husband leave the island. Two days later, Hurricane Hugo ravaged the coast and the midlands of South Carolina killing 76 people in all and running damages into billions of dollars. So if you meet this kindly ghost, please heed his warnings. He’s never been wrong before. For more ghostly entertainment or stories of lore, visit nearby Georgetown, an historic village by the sea with its own hauntings to share. You won’t be disappointed! 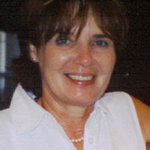 Sandy Richardson is the author of The Girl Who Ate Chicken Feet. Her fiction and nonfiction have appeared in several anthologies such as The Pettigrew Review, Porches: An Anthology, and Cows: A Rumination. Her nonfiction story Nana’s Basket received a nomination for the Pushcart Prize in 2013. Richardson has also freelanced as a ghostwriter, editor, and contributing writer for several national publishers. She and her family are allowed to rent rooms from three cats and a dog in the midlands of South Carolina. 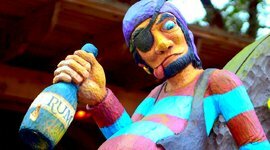 Dine on fresh fish over an island where one of Blackbeard's crewmates was abandoned with 32 casks of rum. You can probably guess what happened next. The town will actually pave around historic trees. That's how much they care about preserving its beauty. So stroll on the gorgeous riverwalk and enjoy the local food. 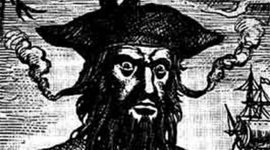 If you're in Little River, beware the ghost of Blackbeard who once used this quiet town as a refuge before his beheading at the hands of Lt. Maynard. This guided walking tour takes you to the darkest sites of ancient ghosts. Odds are you'll see a ghostly orb or two along the way. Talented actors and storytellers come together to re-create the area's infamous local legends. Dark corners, scariest noises, and that guy with a chainsaw make this haunted house show fun for the whole family. The food is great, but the kitchen is haunted. A dark figure is said to loom on the staircase and a human face often appears in an old mirror. Alice Flagg fell in love with a common lumberman, but her wealthy father shipped her off to boarding school, where she die of malaria. To this day, her ghost searches for her lost lover. One of the scariest excursions in South Carolina! Tour an old warehouse filled with haunted attractions. 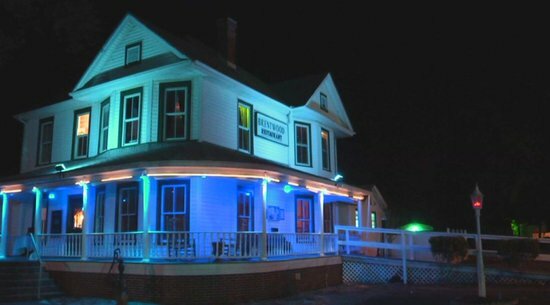 Investigators claim to have found paranormal activity lurking in the walls. If you see a mysterious man dressed in gray rags warn you of an impending storm, get out of town, he's probably right. Hop aboard the Sea Gypsy with the little ones ones, as they dress in pirate outfits and shoot water cannons off the starboard. This boat cruise is a delight for young kids. Old Joe was told to guard a mysterious fortune of gold coins for the wealthy Huntington's. The next day it vanished, never to be seen again.